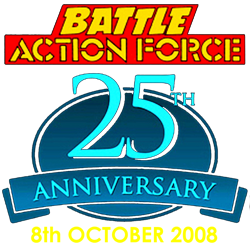 Battle Action Force 25th Anniversary Prize Draw - Winners- BLOOD FOR THE BARON!!! Yeah - thanks Baron - ace fun! Please let us know in due course how we contribute to the postage costs? Shall we use the "donate" button? Crikey, I won something - twice? I'm stoked, gonna frame them as a tribute to BFTB I think. If things happen in three's, I'd better go get a lotto ticket so I can get that MIB Z force command centre;-) Thanks Baron it was fun. Let me know how to pay for freight etc, too Mate. 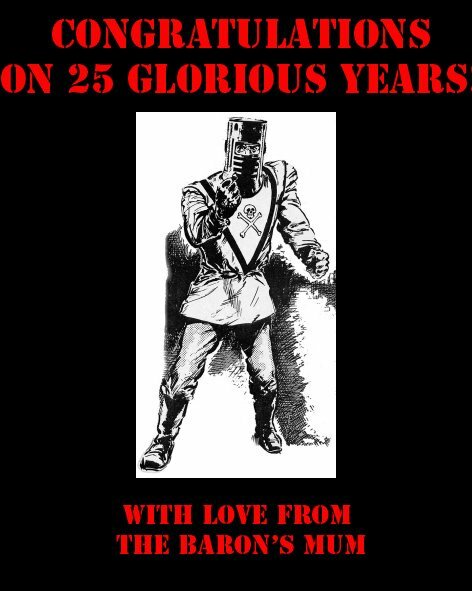 Cheers and happy BAF day guys. No wonder you are the Baron! Those movies were ace! Thanks alot for running the prize draw Baron, I've just come home to find i've won the Enemy Snowcat custom and I keep having to check the results to make sure it's true. I wanted to win this more than anything else in the competion. Thanks again, pls let me know if you need a donation to assist with the postage costs. Again thanks so much Baron. Last night was absolutely brilliant! Had so much fun just waiting for and watching those vids. I wasn't even going to enter the draw as well! Let me know about postage costs. Think the least we can do is pick them up after everything you've done. Last night was certainly a blast! unfortunatley i was in work last night and missed all the fun. i wanted to win it all and won nothing, i'm sure theres a lesson to be learned there. congratulations to all the winners and thanks to you Baron for organising this and everyone who donated something. I won something !!! ......... YEY !! I never gave up hope, nor did I ever have any doubt !! I promised myself I wouldnt cry !